Cape Town, September 24, 2018 – Cape Town's environment proved one of the big winners in the Sanlam Cape Town Marathon over the weekend, with the use of single-use plastics significantly reduced and no municipal water in the water scarce city used. Water dispensed from unique Bluewater mobile water stations saved the use of plastics equivalent to that of 13 000 water sachets or 2600 standard water bottles. The Sanlam Cape Town Marathon is a leader in sustainable event management, recognized for their sustainability efforts with the 2017 Association of International Marathons and Distance Races (AIMS) Green Award that recognises excellence in environmental practice in marathon events. 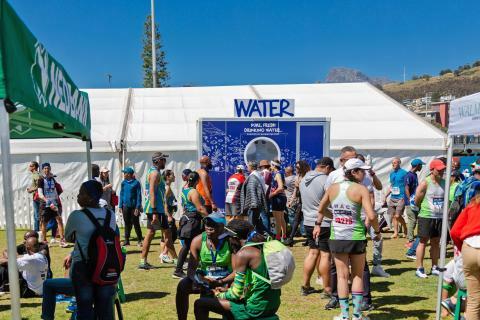 The organisers partnered with Bluewater, which debuted the company's sustainability-driven mobile water stations at the Cape Town marathon, to supply fresh drinking water to runners and supporters with their innovative mobile water solution. CAPTION: Thirsty marathon finishers filled their water bottles at the Bluewater water station sited strategically in the race village. Janet Welham, Race Director of the Sanlam Cape Town Marathon, said: “We are super-excited. From Cape Town Marathon’s perspective one of our pillars for sustainability is to find an alternative to plastics. We are the greenest marathon on the planet and we take it very seriously, so to reduce the use of single use plastics has been fantastic. We eliminated plastics in the trail runs with no water sachets being used, and for the marathon we had two stations on the route for runners to fill their bottles and hydration packs, and two were positioned at the finish venue. It’s been very popular and people have adapted to it well. “This is an amazing event to be associated with as it ties in so beautifully with our purpose as Bluewater, and this being the greenest marathon in the world,” he said. An awareness campaign encouraged athletes to carry their own water bottles/hydration packs in order to use the Bluewater filling stations. “This was the first large-scale sports event in South Africa to provide Bluewater Trailers for their athletes. We have produced a solution to a problem and what is needed now is a mindset shift in athletes to carry their own water bottles or hydration packs. 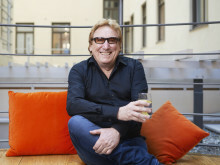 We look forward to wide adoption as we roll out this solution to events across the country and elsewhere in the world,” James Steere said. 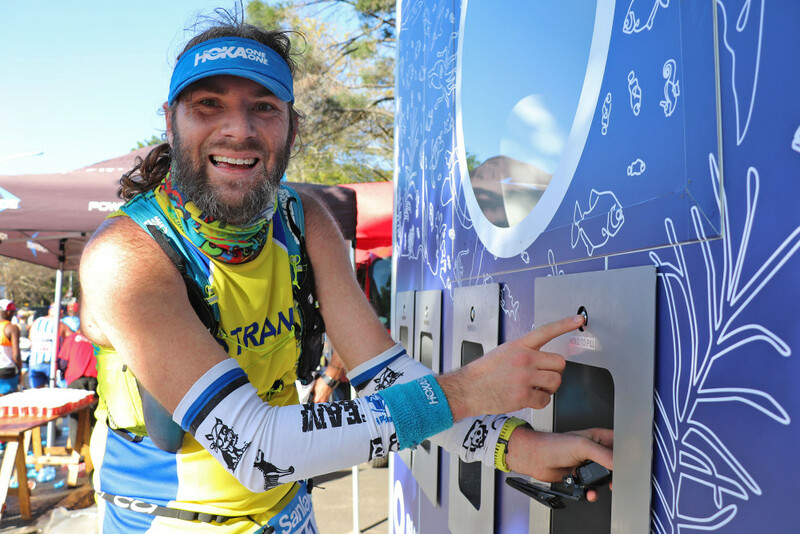 Bluewater, a Swedish multinational water purification company, made the decision to expand its presence into Africa after partnering with the Volvo Ocean Race in December last year, providing their drinking water dispensing stations at the race village at the V&A Waterfront. Witnessing the drought and Cape Town’s water crisis first hand, the company moved swiftly to identify a South African partner in order to establish a route to market for their range of water purification solutions. Partnering with large-scale events to provide sustainable solutions for supply of water, will be one of the key offerings of Bluewater Africa, along with the Bluewater Pro water purifier for use in commercial and residential locations. The compact Bluewater Pro is able to deliver pure, clean water generated from almost any non-potable source, including brackish water, which makes it ideal for water scarce urban environments such as Cape Town. 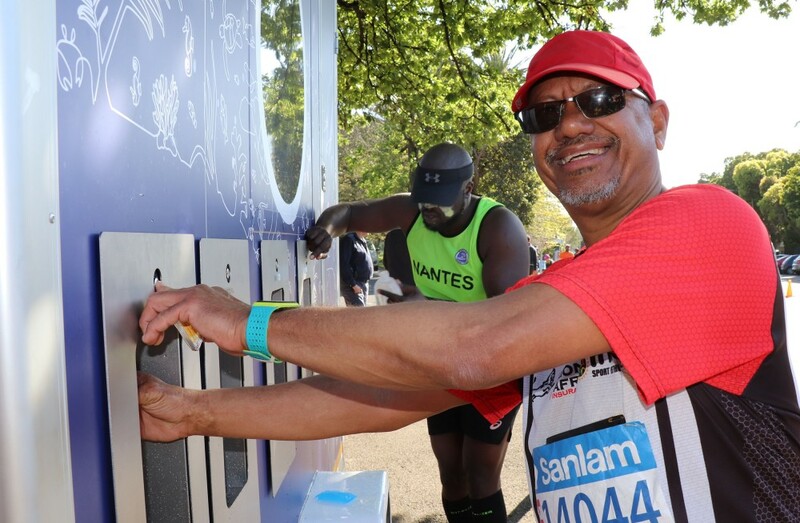 “We are grateful to the Cape Town Marathon for the opportunity to showcase this solution, and for being pioneers in providing environmentally friendly solutions to their runners. I’d like to appeal to other sporting events to make sustainability a priority and to explore new ways of tackling these challenges. There does not have to be a trade off between a really high quality water solution that athletes like and are buying into, and the sustainability priority that events have to focus on more and more,” said James Steere.